Begin planning your Alaska adventure with our Anchorage travel partners. These local companies provide a variety of tours and sightseeing opportunities. From trolley tours to glacier cruises and bicycle rides and flight seeing trips, each offers a unique way to experience the beauty and history of Anchorage and the surrounding area. These business men and women are our neighbors and colleagues: support local businesses, please! 49th State Motor Tours provides breathtaking off-road adventures for groups of all ages and skill levels. The Alaska outdoors are our passion and we live to share it with you. Whether you're an adventure seeker looking to escape civilization or a family group looking for a day trip to remember, we can give you the truly unique, and more importantly, real Alaskan experience you are looking for. When you tour with 49SMT you tour with friends who love showing off the best of Alaska. Helmets and goggles and gloves are provided. Full day tour includes hot lunch and Anchorage shuttle. The Alaska Botanical Garden is an independent nonprofit living museum designed to showcase the beauty and value of Alaska’s gardens and natural areas through science, education, and recreation. Theme gardens include hardy perennials, Gold Medal peonies, alpine plants, herbs, and vegetables. Cultivated gardens are woven through a 110-acre spruce and birch forest. With 1,100+ species of hardy perennials and 150 native plant species, ABG is a wonderful place to experience Alaska’s growing season. Explore the 1.5-mile Lowenfels-Hoersting Family Nature Trail with interpretive signage. Our Gift Shop has Alaskan-made gifts, books, shirts, and sandwiches, snacks, and refreshments. Check our calendar for events, classes, and tours. Alaska's premier cultural center celebrating Alaska's first people. Open daily in the summer months from 9a-5p, with dancing, storytelling, demonstrating artists and more. Located in northeast Anchorage near Bartlett High School. Open Saturdays in the winter. The best quality bikes in town (Cannondale, Treks, Specialized and more) at unbeatable prices (2hrs/$10, 3 hrs/$12, full day $32). We have served the local community & visitors since 2002 and have the experience to offer first-class customer service. Located only one block from the entrance to the Tony Knowles Coastal Trail. With every rental you receive a lock, repair kit, helmet and map of the trails and city of Anchorage. Pilot, military, and group discounts. The only place in town where you can rent a bike, ride it on one of the most beautiful coastal trails in the nation, and come back to enjoy our delicious Smoked Salmon Quesadillas or Reindeer Hot Dogs. 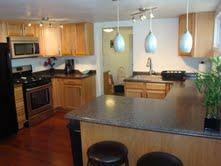 A true Alaskan experience at a very affordable prices. For 39 years, Alaska Rivers Company has provided guided rafting & fishing trips on the Upper Kenai. Our professionally trained & knowledgeable staff show you a truly unique Alaskan experience. 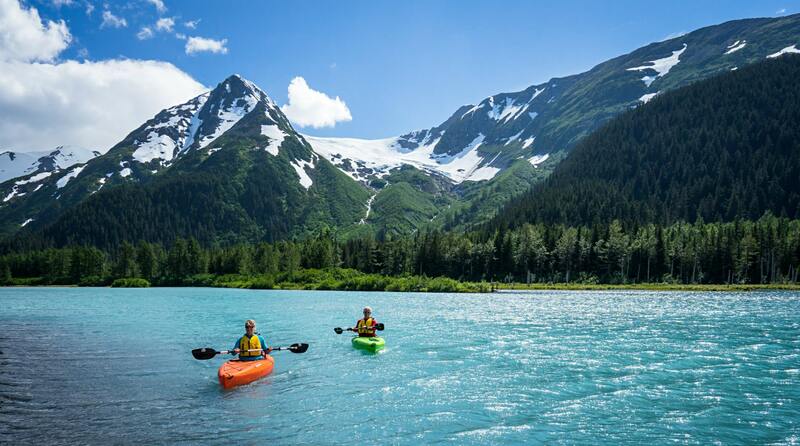 Enjoy the uniqueness of Alaska, her abundant wildlife & the peace & quiet of the turquoise waters of the only non-motorized portion of the Kenai River. Then at the end of your day, relax in one of our cozy, private cabins either on or near the water, away from the crowds. The Alaska SeaLife Center is Alaska’s only public aquarium. Experience, explore, and discover the unique marine world of puffins, harbor seals, Steller sea lions, giant Pacific octopus and more! Alaska’s coastline extends over 6,640 miles—more than all of the US Coastal states combined! Don’t miss your opportunity to experience the diversity of life in these northern waters. Open daily (only closed Christmas and Thanksgiving). Hours vary according to the season. Please visit www.alaskasealife.org for yearly schedule. Open until 9 p.m. between Memorial Day and Labor Day. Alaska has much to offer so why not join us for a wilderness adventure off the beaten path? We offer small group snowmobiling glacier tours out of Girdwood during the winter months, glacier jet-ski (personal water craft) tours and sailing sea kayak day and multi-day adventures out of Whittier during the summer months all of which take your breath away. Alaska is vast and unpredictable. Our backcountry-trained guides are here to make sure you have fun and return safely with stories to share for a lifetime. We love to take out groups of all sizes and can accommodate groups up to 15. If you have a family reunion, corporate retreat, wedding party, or romantic getaway we have you covered. Our philosophy is: if a client is well taken care of, comfortable, well fed, and rested, then they will have fun no matter the conditions. The Alaska Wildlife Conservation Center is a sanctuary dedicated to preserving Alaska's wildlife through conservation, education, & quality animal care. AWCC provides up-close wildlife viewing & educational information to thousands of visitors each year. Your admission includes daily animal programs such as scheduled feedings & interactive talks by AWCC's staff. Walk on the Wild Side tours invite guests to enjoy guided tours with a personal guide who walks you through the Center, offering history & stories of our resident animals. You will get to feed an animal! Located approximately one hour driving time south of Anchorage. For 44 years, the Alaska Zoo has provided a home or found homes for orphaned, injured, abandoned and endangered animals. Some 100 plus animals representing 53 species call the Alaska Zoo home. Featuring the widest variety of Alaskan animals in the State, the Alaska Zoo is located just 15 minutes south of downtown Anchorage on 25 acres in the foothills of the Chugach Mountains. We are open daily year around. Come visit! Tasting Room open 2-8 PM Thursday through Saturday- winter hours. For cocktails and tasting we are open Tuesday through Saturday- Summer hours. Free tours on Thursday's at 6 PM. Helicopter Tours of Anchorage and the Knik/Lake George Area. Glacier landings, summer dogsled tours, flight seeing, city tours and custom adventures. Open Year Round. For 28 years the Anchorage Market has been and continues to be Alaska’s largest and most attended outdoor vendor market. Known commonly as the “Saturday Market”, the Anchorage Market expanded to a weekend market over a decade ago and continues to be a great attraction in downtown Anchorage. Open Saturdays 10am-6pm & Sundays 10am-5pm. Free admission, free entertainment, delicious Alaskan food and a large selection of Made in Alaska merchandise are just some of the reasons why both locals and tourists alike visit our market in beautiful downtown Anchorage. The Anchorage Market hosts over 300 vendors throughout the busy summer season and you can find 150+ vendors on any given weekend. Alaska's largest museum tells the real story of the North through art & design, history, science & culture. Explore Alaska Native cultures with a collection from the Smithsonian Institution. Expansive interactive history gallery tells the story of Alaska. A hands-on science discovery center has marine life tanks, a planetarium & more. Anchorage Museum Store named among the world's 10 best by Conde Nast Traveler. On-site cafe. Anchoragemuseum.org for hours & rates. Downtown Anchorage, corner of 6th Ave & C St.
Join our historic and scenic 15 mile tour of Anchorage where Alaskan guides share history and family stories and explore Anchorages past and present. Visit cultural and historical sites, watch seaplanes splash land on Lake Hood and travel through Earthquake Park- all the while keeping an eye out for our most famous resident  the mighty urban moose. Every ticket comes with a complimentary coupon book with over $200 worth of traveler savings. All aboard! Family friendly day eco-adventures since 1995. Spencer Glacier via train and sea kayak, alpine hikes as featured in the NY Times, day hikes, rock and ice climb. No experience needed. Join Ascending Path guides for unique naturalist guided wilderness day adventures on your Alaskan vacation. Within an hour of Anchorage you can be on a glacier, and enjoying real Alaska on a spectacular guided hike or climb. Ascending Path’s expert guides love teaching and sharing Alaska’s glaciers and wilderness at your pace by making trips fun and enjoyable. The many glaciers and accessible trails in the Chugach Mountains, surrounding Girdwood and Anchorage, provide a superb naturalist guided eco-adventure environment. Nowhere else in the world can you ride a train, sea kayak and walk on blue glacier ice all in one day! Come out with Ascending Path guides to experience what Trip Advisor, the NY Times and Nat. Geo all have rated as one of the top guide services. Touch an iceberg with Chugach Adventures! See the Spencer Glacier by Incorporating train, glacier, wildlife, raft and canoe tours, we offer something for everyone. Visit our website to learn more. Come experience Alaska with us! Established in 1974 as Denali's first rafting company. Raft trips at Denali Park, two hours to all day. Try it for fun! Knowledgeable guides & comfortable Gore-Tex dry-suits provided. Pick paddle or oar rafts, exciting whitewater or scenic mild water. We are offering a 3-hour biplane tour in Talkeetna, Alaska. Our course consists of 9 zippiness, 3 suspensions bridges, a rapper, and a spiral staircase. A short two hours north of Anchorage, and just outside of historical Talkeetna, catch glimpses of the magnificent south side of Denali as you traverse down a ridge line through an enchanting boreal forest. On the platforms, take in the entire Alaska Range overlooking the Susitna & Chulitna Valleys. Explore & interact with your guides; discover local flora & fauna in the largest eco-system on earth. Designed for minimal impact on the environment, a focus on sustainability ensures preservation. The beautifully designed course, exceptional employees, and ecofriendly tour are just small parts in experiencing this amazing piece of Alaska. As the closest biplane to Mt. Denali, come & see for yourself the reason Denali Zipline Tours has had thousands of satisfied guests in 7 seasons of operation! At FishHound Expeditions we guide fishing nearly year-round. During May through October we guide by fishing north of Anchorage on clear water tributaries of the Susitna River. We offer full and half day trips as well as single and multi-day fly in trips utilizing planes and helicopters. All gear is included except a one-day fishing license. Our winter operations focus on ice fishing in the Municipality of Anchorage. There are many lakes full of fish! We typically run trips from late November through April depending on Mother Nature. Heated ice shelter is included. Guest is expected to purchase fishing license which can be done online or through many retailers throughout the state. Drifter's Lodge is built in the heart of Cooper Landing, Alaska, on the banks of the world famous Kenai River. Our wonderful cabins each have private bathrooms, river views, & a shared riverside sauna. The Main Lodge & Russian House are available for large parties. Experience Trophy Rainbow Trout and Salmon fishing - full & half day trips on the upper, middle, & lower Kenai. Drift boat & scenic floats, guided walks, & fly-outs lead you to eagle, moose, bear, & the beauty of the Chugach Mountains. One stop shop for your Prince William Sound adventure. Offering customized glacier & wildlife tours. The day is tailored to your desires & offers exclusive departures & beach landings. Water taxi for kayakers & campers. Beachable vessels designed for each of loading. Kayak rentals. Enjoy espresso, salmon spread, baked goods, & soft serve ice cream in the cafe. Major Marine Tours offers world-class wildlife and glacier cruises in Kenai Fjords National Park, departing from the beautiful harbor town of Seward, Alaska. We are a locally-owned, family company celebrating over 25 years of sharing the beauty of Alaska with our guests. See tidewater glaciers, stunning scenery, whales, and abundant wildlife from one of our full-day or half-day cruise options. Most cruises feature onboard National Park Ranger narration and our famous Alaska salmon and prime rib buffet, freshly prepared and served while you cruise. Our “cruising restaurant” service maximizes your time on the water, allowing you to enjoy your meal without missing out on any of the sights. Cruises run from mid-March through mid-October. At Phillips Cruises & Tours, we operate daily glacier and wildlife cruises from Whittier into Prince William Sound. We are located just 1.5 miles south of Anchorage with easy access to a full day of adventure. We are also a convenient option if you are heading to the Kenai Peninsula communities of Kenai, Soldotna, Homer or Seward. Whittier can easily be accessed by car if you are driving to the Kenai Peninsula. Or we offer round trip coach or rail service from Anchorage or Girdwood. Here is a Brief description of the two tours we offer during the summer. 26 Glacier Cruise- Explore the serenity of Esther Passage, view majestic alpine and tidewater glaciers in College and Harriman Fjord while traveling in luxurious comfort aboard the Klondike Express. Glacier Quest Cruise- Great choice for families with children! Cruise into magnificent Blackstone Bay, home to seven glaciers and Yosemite-scale waterfalls. Watch for playful sea otters, harbor seals, kittiwakes, bears, whales, or even mountain goats. Our cruises include a complimentary hot meal, reserved indoor seating, full-service bar and snacks for purchase, restroom equipped, and no seasickness guarantee. U.S. Forest service rangers join us on the 26 Glacier Cruise and Glacier Quest Cruise to provide narration. We have received the TripAdvisor Certificate of Excellence annually and several awards from AABBA including "Best Tour Experience". We are one of Anchorage's most experienced operators and offer flight seeing, fly-in fishing, bear viewing, fly-in dog sledding, fly-in kayaking, and new this year, Denali/Mt. McKinley glacier landings from Anchorage. Come fly with us! Voted 'Best of Alaska' for both Summer and Winter Adventures! Salmon Berry Travel & Tours offers locally-guided, small-group, all-inclusive Day Tours from Anchorage as well as curated multi-day Travel Packages throughout The Last Frontier! Whether your Alaska wishlist includes Dog Sledding, Glaciers, Wildlife, National Parks, Native Culture or more, we can help you #FindYourAlaska! See Anchorage in style! We provide approximately 9-minute guided tours of Downtown Anchorage and Lake Hood on our gyroscopically enhanced Personal Transporters. Looking for Ultimate Alaskan Adventure? Try out our NEW half-day tour of Turnagain Arm! Once you've tried your balance on our Segways, why not enjoy out come-to-life Alaskan movies: "The Amazing Trail" and "Those Amazing Bears" in our interactive Adventure Theater! Talkeetna Air Taxi provides glacier landings, scenic flight tours of Denali National Park & Denali, & climber expedition support. Our pilots have years of mountain & glacier flying experience, allowing us to provide you with a trip worthy of any bucket list. View breathtaking glaciers, ancient granite peaks, & ice-blue pools from one of our specialized ski planes. Come let us show you our Park! The most popular dining guide for south central Alaska. The culinary encyclopedia of the last frontier. Serving lunch, dinner, and Saturday brunch in downtown. Our food is as inspirational as our wine list, with dishes ranging from a classic filet mignon to local seafood. A delightful selection of small plates, creative cocktails and over 40 wines by the glass round out our menu. 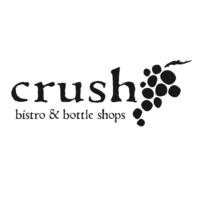 Visit our bottle shop next door for carefully selected wine and spirits! We feature 36 tap handles of Alaskan beer and many more local and imported bottled ales and lagers. We also stock a large selection of fine wines and offer a variety of signature cocktails. All food is prepared fresh, with pastas and pizza dough available in 100% whole wheat or wheat. No deep fryers here, everything is baked in our massive Fire Deck oven which weighs in at a whopping 5700 pounds, has a cooking area of 22 sq ft and can produce 95-120 16 pizzas in an hour. " Where Alaskans Meet Alaskans. Serving lunch and dinner in the finest tradition of Anchorage. Outstanding award winning AK beers; great seafood, wood-fired pizza, rotisserie roast prime rib, Alder wood-grilled seafood. Orso: Local Specialties - Global Inspiration. Serving lunch & dinner. Alaska grown products used. Outstanding award winning dining experience. Alaskan seafood, fresh pastas, grilled meats, housemade desserts. Award winning wine list. Voted "best breakfast" year after year, we offer breakfast and lunch downtown daily. Our menu features housemade soups, baked goods, sandwiches, smoothies, local espresso and her, and of course, amazing breakfast is served all day long@ President Obama bought our entire stock of sticky buns in 2015! We're a neighborhood restaurant in the heart of Spenard offering a contemporaneous take on comfort food. We serve breakfast, lunch, and dinner daily. With handcrafted cocktails and a lovely patio., it's easy to see why locals vote us best restaurant! Modern Mexican cuisine and craft cocktails in a charmingly rustic atmosphere located in the heart of downtown Anchorage. Open for Lunch & Diner, we focus on using locally sourced Alaskan ingredients such as halibut & salmon, prepared as time-honored Mexican recipes with a modern flair. Come enjoy the freshest margarita in town as well as fine sipping Tequilas & Mezcal, Taco Tuesday, Live Music Thursday's, daily happy hour, and an outdoor patio. We can also accommodate large parties and groups. The Marx Bros Cafe specializes in innovative contemporary cuisine featuring fresh Alaskan seafood and only the finest quality meats. Our chef revises the menu each night to reflect unique ingredients and imaginative preparations. Our cuisine is expertly paired with an extensive selection of wines housed in one of largest cellars in Alaska. Welcome home! We specialize in fully furnished houses, condos, apartments, and cabins with full standard size kitchens, as well as B&B lodging. Whether you are looking for a party of 2 or 36, we have options for you! We offer daily, weekly and monthly rentals. Our units are great for guests that have longer stays or special dietary needs that a private kitchen can provide. Our extended stay units also have washers and dryers within the unit, or on site. We also offer select units that are pet friendly and units with minimal stairs. With dozens of options, we are sure to have a unit that will fit your needs whether in Anchorage, Palmer, or on the Kenai Peninsula. ARE YOU A PROPERTY OWNER? Contact us about our contract services tailored to your business needs. Traveling beyond Anchorage? Choose B&B accommodations that enhance your authentic Alaska experience statewide. In a place as unique as Alaska, why choose a uniform, impersonal hotel when you can stay at our comfortable B&Bs? Personal touches & friendly hosts are sure to be among the highlights on your trip. Consider bed & breakfasts as a great alternative when youre selecting lodging for your Alaska vacation! The B&Bs are as diverse as the Yukon itself: rustic log cabins at the lakes edge, elegant Victorians that whisk you back to the Gold Rush a century past, contemporary homes built specifically with your comfort in mind. The Alaska Digital Postcard is a thumb drive with over 500 high quality photos of Alaska conveniently organized in folders by location and content. They can be printed, emailed, and added to your photo collection. All pictures were taken by two Alaskans. They are a Made in Alaska" company." Our customers say it again & again: they love our variety, excellent prices, friendly staff, & unique Alaska flavor. Over 500 Alaskan vendors products are offered. Locally owned & operated, serving Alaska for over 40 years. Rated best all-in-one stop for souvenirs by Coastal Living Magazine. Over 200 Alaska Native members hand knit Qiviut, the downy soft underwool of the Musk Ox, into scarves, caps, stoles, headbands, and Nachaqs, or Smoke rings. Our garments are 100% Qiviut and are based on traditional Native patterns. Stop at our downtown location to see, feel and fully experience this true Alaskan gift. AlaskaTrain.com is the quickest and easiest way to book online reservations for the Alaska Railroad, private dome cars and the Park Connection Motorcoach... all in one spot. We are the only website to offer real-time online booking for all classes of service from the Alaska Railroad’s Adventure Class and GoldStar Domes, to private dome rail cars like the Wilderness Express and McKinley Explorer, and even the Park Connection Motorcoach service. We offer summer service to all the major “railbelt” destinations including Anchorage, Denali Park, Talkeetna, Seward, Whittier, and Fairbanks. Your satisfaction is 100% guaranteed, as are the lowest prices on all of the Alaska rail and bus products that we sell. AlaskaTrain.com is brought to you by the folks at Alaska Tour & Travel… one of the leading travel companies in Alaska for nearly 20 years. Free download in the iTunes store for iPhone and iPad! This is your ultimate interactive Alaskan discovery guide. Great for Alaska-wide travel planning, insider tips (like where to find moose and other wildlife), weather cams and more. Communicate with other travelers, ask questions, share reviews of your favorite spots, and photos of the places you visit! Since 1923, the Alaska Railroad has offered value, convenience & an authentic Alaska experience. See glaciers, mountains, wildlife and two national parks with one call. You can choose Adventure class coaches or receive Gold Star Service aboard double-deck luxury dome cars. You'll find daily summer service to Anchorage, Denali, Fairbanks, Seward & Whittier. The Park Connection Motorcoach is a scheduled summer bus line service that operates between Anchorage, Denali National Park, Talkeetna, Whittier and Seward. We operate multiple trips daily to most destinations and offer same day tours between Denali or Talkeetna and Whittier or Seward. We use only highway quality, late model deluxe motorcoaches, operated by courteous, professionally trained driver-guides. Cruise transportation is available for Whittier or Seward cruise passenger, as well as bus and train combination packages. In fact, you can compare and book all three Alaska rail suppliers, and our bus trips, at one time by using our unique online booking system.